This time of year always makes me feel grateful and not just because of the Thanksgiving Holiday. I love the change of seasons, big meals with family and friends, dressing up in crazy costumes with my kids, and watching football while doing laundry each weekend (thankful for football, not laundry). I am thankful for our growth in Puget Sound this past year and appreciate you and your support of the seniors and families in our community. I hope you can find more of what makes you grateful this season. 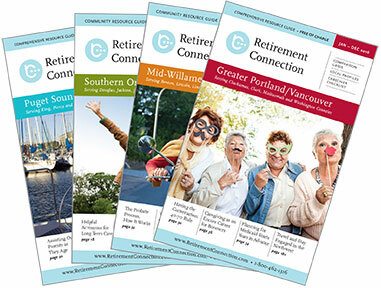 For those reserving ad space for the next edition of Retirement Connection, you can save 10% by reserving ad space by November 15th. Your can still break out your payments and ad copy is not due until January 2017. This is just a simple way we can say “Thank you” for planning ahead and becoming a sponsor! Let us know if you would like more information.